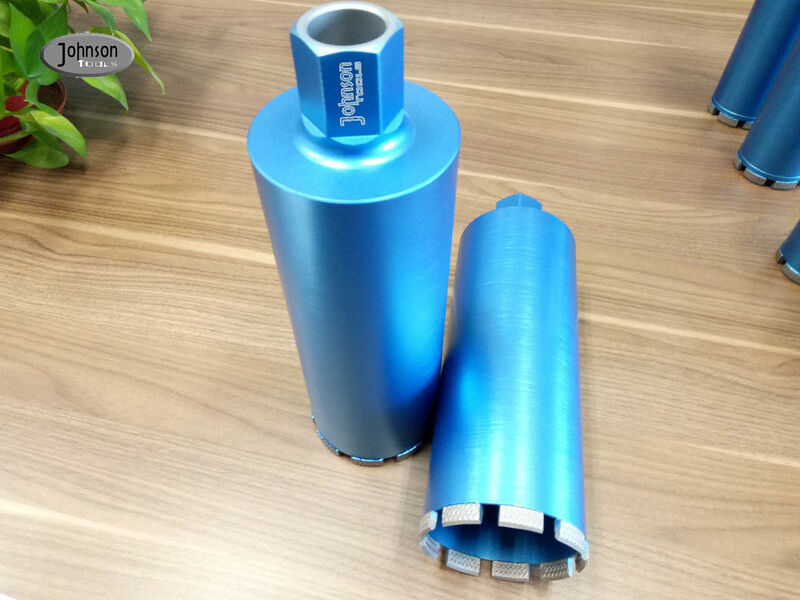 High quality diamond concrete core drill bit. With the special design segment, it can easily flush away the chipping, and enhanced the drilling efficiency. 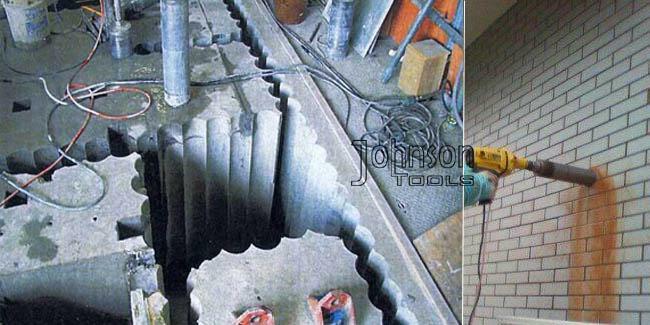 The construction core drill bit widly used for drilling concrete, brick, reinforced concrete and so on. 100mm (4 inch) outside diameter. Great segment in 12mm height. How dose a diamond core bit work? A diamond core bit does not cut but works by milling. During the sharpening process performed at the factory, individual diamond crystals are exposed on the face and sides of the segment and it is these that do the milling work. The metal matrix holds each diamond in place. During the work, each diamond is supported by a comet’s tail which strengthens the supporting action of the bond immediately “behind” the diamond crystals. A diamond tool properly suited to the material to be cut, the equilibrium between the work of the diamond and the abrasion-resistance of the bond is optimum; the diamond is held in place until it is destroyed and new crystals appear. It is in this equilibrium that all the quality of the diamond tool resides. A core bit intended for cutting hard, dense (less abrasive) materials requires a softer segment bond. This wears out more rapidly, by replacing the worn diamonds relatively quickly so that the blade continues to cut. Otherwise, for cutting soft, abrasive materials must have a hard, abrasion-resistant segments in order to retain the diamonds longer.